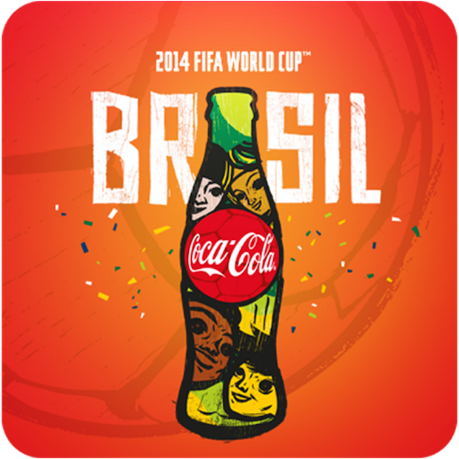 Coca-Cola Egypt World Cup Brazil 2014 AR: An Augmented Reality mobile application that runs over smart devices where users enjoyed the Fifa worldcup’s theme song that was released a few days before the worldcup by pointing their devices towards any CocaCola logo. Smart devices users were able to enjoy watching the worldcup’s theme song by pointing their device’s camera to any CocaCola logo provided they have the application installed on their devices. Whether the users are pointing their devices to a can, a bottle or even printed logo, they were able to enjoy the application’s experience. There were other gestures in the application that showed the main visuals and brandings that were incorporated with the global event back then to engage the users with both the brand and the worldcup event.